It seems difficult now to believe that there was ever a time when the only djinns I believed in came from fairy tales, benevolent creatures that poured like smoke from humble old oil lamps and antique rings, granted you your heart’s desire, then disappeared when the transaction was complete. I might even have daydreamed of finding one someday. And later, they took a different shape, one informed by religious teachers and Quran recitation classes: creatures of smoke and fire, who had their own realm on Earth and kept to themselves, for the most part. I didn’t realize they could be sharp, cruel, insidious little things that crept and wormed their way into your thoughts and made your brain hot and itchy. The clanging of the final bell echoes through the school corridors. “Te-ri-ma-ka-sih-cik-gu.” The class singsongs their thank-yous in unison as Mrs. Lim nods and strides briskly out the door in her severe, high-necked navy-blue dress, the blackboard covered in complicated mathematical formulas, the floor before it covered in chalk dust. I stuff my books hurriedly into my bag, smiling halfheartedly and waving as other girls pass—“Bye, Mel!” “See you tomorrow!”—and I concentrate on the task at hand. Biggest to smallest, pencil case in the right-hand pocket, tap each item three times before closing the bag, one, two, three. Something feels off. My hands are frozen, suspended above my belongings. Did I do that right? Did I tap three times or four? I break out into a light sweat. Again, the Djinn whispers, again. Think how much better you’ll feel when you finally get it. No, I tell him firmly, trying to ignore the way my fingers twitch, the wave of panic rising from my stomach. One, two, three. One, two, three. One, two . . . I look up, startled. My best friend, Safiyah, is standing by my desk, rocking back and forth eagerly on her heels, quivering with high excitement from the tips of her toes to the tip of her perfectly perky ponytail, tied back with a length of white ribbon. “Perfectly perky” is actually a great description of Saf in general, whom my mother often jokes only ever has two modes: “happy” and “asleep.” She bounces away through her days, dispensing ready smiles, compliments, and high fives to all and sundry, while I trail along in her wake, awkward, vaguely melancholy, and in a constant state of semi-embarrassment. I’m pretty sure Saf is the reason I have friends at all. “Oh, that.” My heart sinks. The last thing I want to do right now is be trapped in the dark, stuffy recesses of the neighborhood cinema as everyone else watches one movie and the Djinn forces me to watch another. “Do we really have to, Saf?” I sling my bag over my shoulder and make for the door. One, two, three. One, two, three. One, two, three. There is a very specific pattern to adhere to, a rhythm that’s smooth and soothing, like the waltzes Mama likes to listen to on the radio on Sunday afternoons. A method to the madness. Not that this is madness. It’s the Djinn. “You leave Paul McCartney out of this.” Right foot first out the door—good. “Or any of the Beatles, for that matter,” I add as an afterthought. I mean, I’m a little iffy about Ringo, but even he’s better than Paul Newman. “I don’t know what you’re talking about,” Saf says innocently, playing with the frayed end of her hair ribbon and doing her best not to look at me, a blush spreading like wildfire across her dimpled cheeks. “I just . . . really happen to prefer watching movies at the Rex.” I can’t help but grin. Saf can fool a lot of people with those good-girl looks and that demure smile. But then again most people haven’t been friends with her since the age of seven, when she marched right up to me on the first day of primary school, while everyone else stood around looking nervous and unsure, and declared cheerfully, “I like you! Let’s be best friends.” On the surface, we’re polar opposites: She is bright where I am dim, cheery smiles where I am worried frowns, pleasing plumpness where I am sharp, uncomfortable angles. But maybe that’s why we fit together so perfectly. “You are so obvious,” I snigger, jabbing her in the ribs, and we dissolve into giggles as we run for the bus. I hoist myself up the steps—right foot first: good girl, Mel—and the Djinn suddenly rears up, ready and alert. I feel a sickening weight in my stomach. The right-hand window seat in the third row, my usual choice—the safest choice—is occupied. A Chinese auntie, her loose short-sleeved blouse boasting dark patches of sweat, dozes in the afternoon heat. Whenever she leans too far forward, she quickly jerks her head back, her eyes opening for a split second, her face rearranging itself into something resembling propriety. But before long, she’s nodding off again, lulled by the gentle rolling of the bus. I can feel the panic start to descend, that telltale prickling starting in my toes and working its way up to claim the rest of me. If you don’t sit in that seat, the safe seat, Mama will die, the Djinn whispers, and I hate how familiar his voice is to my ears, that low, rich rasp like gravel wrapped in velvet. Mama will die, and it’ll be all your fault. I know it doesn’t make sense. I know it shouldn’t matter. But at the same time, I am absolutely certain that nothing matters more than this, not a single thing in the entire world. My chest heaves, up and down, up and down. Quickly, I slide into the window seat on the left—still third row, which is good, but on the left, which is most definitely, terribly, awfully not good. But I can make it right. I can make it safe. The old blue bus coughs and wheezes its way down the road and as Saf waxes lyrical about the dreamy swoop of Paul Newman’s perfect hair and the heavenly blue of his perfect eyes, my mother is floating, floating, floating down into the depths of the Klang River, her face blue, her eyes shut, her lungs filled with murky water. Quickly, quietly, so that Saf won’t notice, I tap my right foot, then my left, then right again, thirty-three sets of three altogether, all the way to Petaling Street. Finally, the Djinn subsides. For now. 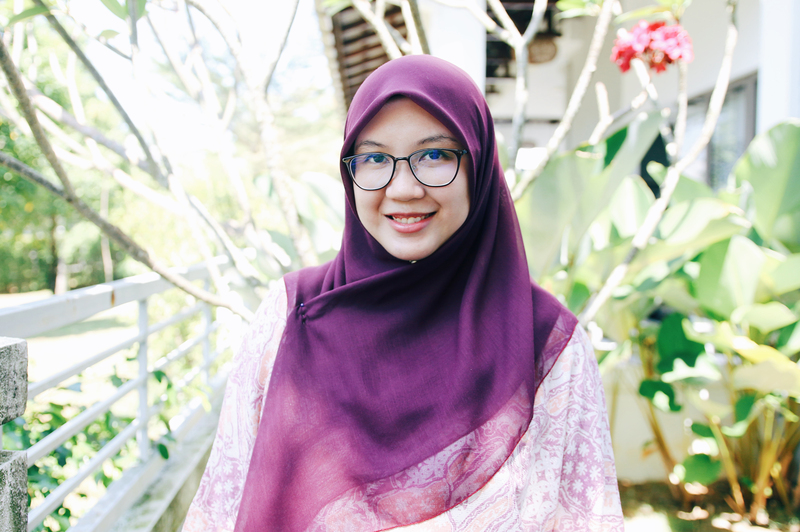 Melati Ahmad is a movie-going, Beatles-obsessed sixteen-year-old. But Mel is also plagued by gruesome thoughts: she believes she harbors a djinn inside her, one who threatens her with horrific images of her mother’s death unless she adheres to an elaborate ritual of counting and tapping. She manages to quiet the djinn until the evening of May 13, 1969, when racial tensions in her home city of Kuala Lumpur boil over. The Chinese and Malays are at war, and Mel and her mother become separated by a city in flames. With a twenty-four-hour curfew in place and all lines of communication down, it will take the help of a Chinese boy named Vincent and all the courage and grit in Mel’s arsenal to overcome the violence on the streets, her own prejudices, and her djinn’s surging power to make it back to the one person she can’t risk losing. 1. How did you feel when you read the line in the author’s note that said, “This book is not a light and easy read”? Have you ever encountered a book where the author addressed the subject matter before the story began? Why do you think that Hanna Alkaf decided to include this? Do you believe her assertion that “no book is worth sacrificing your own well-being for”? What are some of the reasons it might be important to read a difficult book? 2. What did you know about Malaysia before you read this book? Did this book make you curious to learn more? Were there parts of the book that felt familiar and true to you, despite the fact that you may have never visited Malaysia? Explain your answer. 3. Did you understand what the author meant when she wrote about how history fades into facts? Think about this line: “. . . made to regurgitate in exams and not to stick in your throat and pierce your heart with the intensity of its horror?” How does reading historical fiction compare to reading about historical events in a textbook? Which do you prefer? Did the author succeed in piercing your heart with this story? 4. The author said, “For Muslims, djinn are real . . . they exist for us in ways that they may not for you.” Have you heard about djinn before? How do you feel about them? What was your reaction when Melati first talked about her djinn? Talk about how different cultures have very different views on spirituality or magic, and share any of your family’s beliefs. 5. Why might Melati have felt so anxious about her mother’s life? Think about her circumstances and her father’s death. Why might she have felt responsible for keeping everyone safe? Why might that kind of responsibility feel exhausting? 6. Did you find parts of this story to be hopeful or optimistic? If so, give examples of scenes that made you feel this way. Can you describe any scenes that caused you to feel the opposite? 7. Melati’s friend Safiyah was “perfectly perky,” while Melati was “awkward, vaguely melancholy, and in a constant state of semi-embarrassment.” Which girl do you most identify with? How do you think the girls could be such good friends when they were so different? Explain your answer. 8. Melati’s djinn told her, “Saf is dead. You had the power to save her, and now she’s dead.” Do you agree with the djinn? Could Melati have saved her friend? What could she have done differently, if anything? Is it fair for children to suffer for the choices of adults? Explain your answers. 9. Explain what the author meant by “airy cushions of privilege.” Can you name other time periods and places with violent divisions between racial groups? How about in our contemporary world? What lessons in this book could our society learn from today? 10. Why did Melati feel ashamed and embarrassed when people saw her counting and tapping? How would you feel and react if you saw one of your friends exhibiting this behavior? Why did she decide to lie to her mother after her treatments didn’t improve her struggle? What might you have done if you were in her place? 11. Melati said, “To be different is to be mocked mercilessly. Be unique at your own peril.” Do you agree with her? Talk about how and why that statement might have been true in 1969 Malaysia, and how it may still ring true today. Is it only teenagers who mock those with differences? Do you think it’s possible to change that sentiment? How would you go about doing so? Explain your answers. 12. Discuss Vincent and Frankie and their opposing beliefs about killing and the racial tension in their town. Are you more sympathetic toward one over the other? Do you understand why each boy felt the way they did? How was it that people from the same family could have such different views? What does this say about the complexity of these issues? Why did Frankie help Melati even though he disliked the Malays? 13. When Melati, Jay, and Vince found bodies floating in the water, Melati noted that the scene was familiar to her because of her gruesome visions. Do you think that imagining terrible things can help prepare you for the possible reality of experiencing them? Think about the violent video games, movies, TV shows, and books people engage with, or the way the media covers crime and other tragedies. Do you think it’s better to be exposed to these kinds of horrors, or to avoid them as long as you can? Explain your answer. 14. Mama told Melati and Saf that “‘we make our own luck in this world.’” Do you agree with this statement? Give examples of how Melati made her own luck in the story. 15. When Vincent and Melati were almost caught in a trap set by armed attackers, Melati questioned the goal: Why were they targets of a violent act when they were just trying to help? Vincent told her, “‘They don’t see us as people, and they don’t want to. They just know that we’re not them. That’s enough.’” Discuss other instances in the book where this “we’re not them” mentality caused tension, trouble, and war. Do you see this scenario playing out in our daily news or in your community? What might you do to send a different message? 16. The book takes its title from a Malay saying that means “where you plant your feet is where you hold up the sky.” What does this mean to you? 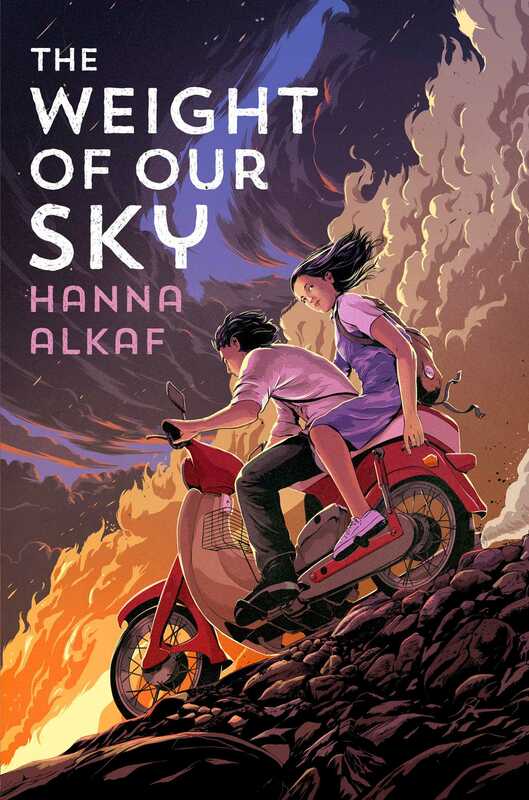 Did you agree with Melati when she said, “We make our own sky, and we can hold it up—together”? How did Melati exhibit that sentiment in the book? Do you think it made for a good book title? How does it connect to some of the books’ themes? 17. After Melati persuaded the soldiers to bring Jee to the hospital, she thought, “For the first time in a long, long time, I’m beginning to feel like normal is within reach after all.” Why do you think she suddenly felt confident and powerful in this moment? Discuss how this is an important turning point in the story. 18. At the end of the author’s note, the author said, “Make of this story what you will.” What did you make of the story? Did you sympathize with Melati and understand her struggle with OCD? Did the story help you to understand the complications of racial tensions at that time? Explain your answers. 1. Research and write a report about the 1969 race riots in Kuala Lumpur, Malaysia. Include information about current racial conditions in Malaysia. How has the situation changed? How does daily life for teens today compare to daily life for teens in 1969? 2. Melati told Vince that music helped to calm her. Research obsessive compulsive disorder (OCD), and what can help those who suffer from it. Then write Melati a letter of support, offering encouragement and activities you can do together, and sharing what you’ve learned about OCD. 3. Investigate some of the local foods that Melati describes. Then write an essay on Malaysian food and culture, and include some recipes. Consider baking some Malaysian treats for your classmates to try! 4. Reread the scene where Frankie led a mob toward a stalled van, and Melati realized that her mother didn’t know what to do. Why was that scene important to Melati’s character development? Why can it come as a shock to see your parents or caregivers in a position of powerlessness? Rewrite the scene from another character’s point of view. Does it change the impact or outcome of the scene? Does it cause you to view things differently? 5. Identify three important themes in the book. Then write an essay exploring how setting, character, and plot support these themes. 6. The djinn told Melati, “Everybody pays a price for loving you.” With a partner, choose which one of you will agree with this assertion, and which will disagree. Put together your argument using examples from the text, Melati’s state of mind, and her relationship with the djinn.